The mini crib…have you ever thought of using one? It has started to become a more popular choice during crib selection. Maybe it’s the fact that there are many more readily available. Possibly it’s due to the smaller living spaces that families are living in…or maybe it is just more cost effective. Either way, choosing a mini crib doesn’t mean you have to go “mini” on style. Take a look at these stylish mini cribs available. 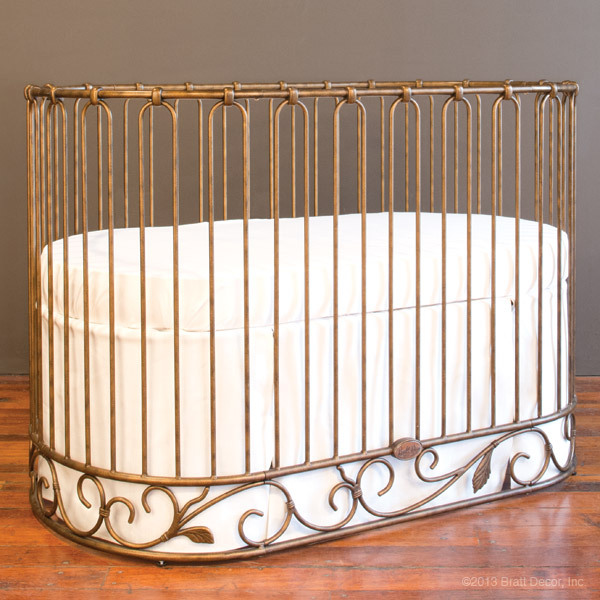 This one isn’t quite classified as a mini, but it is smaller then the average crib to help maximize space. It is definitely beautiful though. Do you like the idea of a mini crib? I love that green mini crib, it is so cute!